Talk of redeveloping Dnipro International Airport has become something of a tradition in the central Ukrainian industrial hub. Each new politician or business leader seeking to make a name for themselves declares their plans to transform the city airport into a genuine international gateway. Meanwhile, local residents have grown used to flying from Kyiv or Kharkiv due to the shoddy condition of Dnipro’s own airport. There is now fresh optimism that Dnipro could be about to witness a long overdue breakthrough in its wait for a quality airport following news of Oleksandr Yaroslavsky’s interest in the project. The Ukrainian business leader, who financed and oversaw the complete transformation of Kharkiv International Airport prior to the Euro 2012 football championships, has announced that he has already reached agreement with the currently Dnipro airport ownership and is ready to invest in an historic upgrade. The project looks increasingly plausible given the Ministry of Infrastructure’s recent statements on “five airports per year and UAH 10 billion in funding for runways”. Dnipro Mayor Boris Filatov has confirmed that the project is moving forward and now requires official backing – and confirmation of funding – from the state. 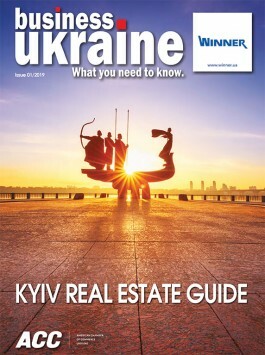 “There are serious agreements in place on the construction of a new airport in Dnipro along similar lines to the public-private partnership framework used for Kharkiv International Airport.” He said the state is ready to provide financing for the construction of a new runway and additional flight infrastructure, with negotiations now underway with Kyiv to finalize the plans. The task ahead is a major one. Today’s Dnipro airport presents a depressing picture and is completely inadequate for the city and the economy it serves. The entire complex remains stuck in the Soviet past and has not seen any major upgrades for 30 years. From a peak of 100 flights per day, the airport now serves an average of just three flights. This shortcoming undermines Dnipro’s otherwise competitive business environment. The city has one of the most vibrant economies in the country and is Ukraine’s industrial capital, while also serving as a regional hub for a host of nearby cities. However, poor air travel infrastructure makes it difficult to reach Dnipro and deters international partners. If Dnipro can join Kharkiv in welcoming a modern international airport complex, it could provide a major boost for the regional economy. The redevelopment of Kharkiv International Airport saw the passenger terminal capacity increased from two to twenty thousand meters, allowing it to accommodate passengers from throughout the region. The old terminal building upgrade underwent transformation into a stylish VIP terminal, while a new cargo facility placed Kharkiv at the forefront of modern airfreight practices. 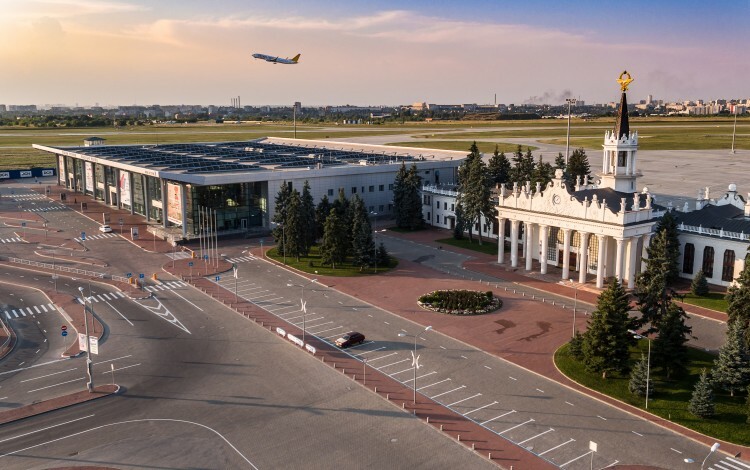 This new air gateway has allowed Kharkiv to connect with an ever-expanding range of destinations while welcoming record numbers of foreign visitors to the city, opening up the entire region to new business and tourism possibilities. Yaroslavsky promises to repeat this success in Dnipro within just one and half years if his project gets the final green light. According to preliminary plans, the new-look Dnipro International Airport could have an even greater capacity that Kharkiv International Airport, with room to accommodate two dozen commercial airliners. Even the most optimistic of observers are keeping their champagne on ice for the time being. The Dnipro airport upgrade has been a political hot potato for decades. The project has outlived three Ukrainian presidencies without moving forward. Due to the state’s involvement in the runway, the local authorities are not able to make progress on their own. Success depends on the coordination of national and local authorities together with private investors prepared to support the development new airport facilities. With presidential and parliamentary elections on the horizon and Yaroslavsky looking to invest, now would seem to be a fortuitous time to move the project forward. A new and vastly improved airport in Dnipro would affect the entire region and potentially bring benefits to millions of voters. It would provide the authorities with a trump card to add to their election manifestos. Dnipro region residents have huge appetite for international travel and, thanks to Ukraine’s visa-free EU breakthrough, now have immediate access to European destinations. An international airport would provide them with the ease of travel that could transform everyday lives and dramatically improve attitudes towards the state. Ukraine’s Infrastructure Minister Volodymyr Omelyan has spoken of his vision for UAH 10 billion annually for the reconstruction and repair of Ukraine’s regional runways. Of all the major cities in Ukraine, there are none more strategically placed than Dnipro as both regional population and business hubs. Are we about to see a breakthrough in one of the great infrastructure sagas of post-independence Ukraine? Do not bet against it.